There are many types of resets associated with your iOS devices or other mobile phones, such as soft reset, hard reset, second level reset, master reset, master clear, and factory data reset. In this article, we will cover two of the most common resets, soft reset and hard reset on iPhone, iPad, and iPod. You will learn the differences between them on the definition, when to perform the resets, how to do it, and cautions you should note. Definition: What are Hard Reset and Soft Reset on iPhone/iPad/iPod? To know the differences of hard reset and soft reset, the first thing you should figure out is their meanings. A hard reset or hard reboot, also known as a factory reset or master reset, is the restoration of your iPhone, iPad, or iPod to the state it was in when it left the factory, that is, original factory settings restore. When you do a hard reset on your device, all settings, applications and data added will be erased. Therefore, you are recommended to backup your iPhone before you hard reset your iPhone or other iOS devices. 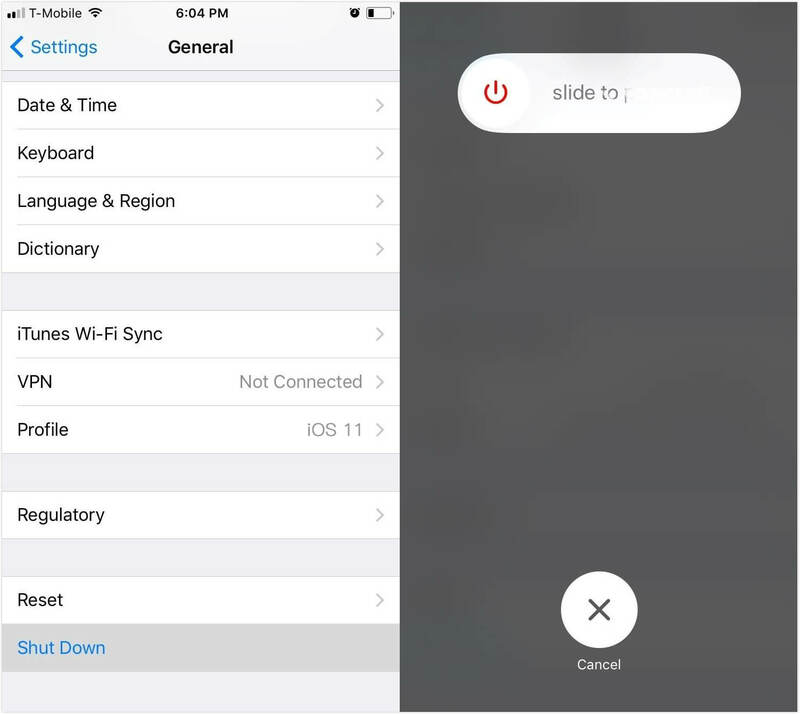 A soft reset is a restart of your iPhone, iPad, iPod. It will close applications, clear the device's memory, reset all of the operating system software routines ad allow things to start fresh, just like that we often turn off our computer from time to time. If you use the correct way to soft reset or soft resboot your iOS device, you will never lose data, settings or other content. When to Perform a Hard Reset or a Soft Reset on iPhone, iPad or iPod? There are many scenarios that you need to either perform a hard reset or a soft reset on your device. Please note that both of them can fix most of the same issues and a hard reset can solve all the problems that a soft reset can't. When to Perform a Hard Reset? 1.	iPhone or other devices is stuck in black screen or frozen/hung screen, Apple logo screen of death, etc. 2. Apps crash, keypad/touchscreen has something wrong. 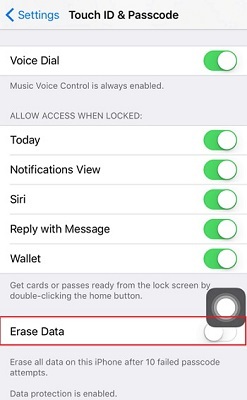 3.	iPhone or other devices can't hear, can't make or receive calls. 4. Devices make noise, or won't sync. 5. Firmware or software corrupt. Since a hard reset will delete all data on your device, we advise you to do a soft reset first to see if it can solve your problem. When to Perform a Soft Reset? 1.	iPhone or other devices cannot receive messages, make/receive calls, emails and can't sent files. 2. Network related issues like iPhone cant' connect to Wi-Fi. 3.	iPhone or iPad is stuck in recover mode loop after iOS 10/9.3/9.2/9/8/7 update, reboot loop, Apple logo screen of death, and etc. 4.	iPhone or iPad is frozen or hung and became unresponsive. 5.	iPhone won't be recognized in iTunes. How to Hard Reset or Soft Reset iPhone, iPad, iPod? Here are the guides to show you how to hard reset/reboot and how to soft reset/reboot your iOS devices. How to Hard Reset/Restart iPhone, iPad, iPod? 1. Connect your device to your computer via a USB cable. 2. Select the device when it appears in iTunes. In the Summary pane, click "Restore" button. If you can't find your device in iTunes, refer to iPhone can't be recognized in iTunes. 3. Click "Restore" again to confirm the hard reset (the restore process). 4. After restore, you will see the "Set up" welcome screen. Follow the steps to set up your device. 5. Recover iPhone data after restore. This also applies to iPad or iPod. How to Soft Reset/Restart iPhone, iPad, iPod? There are ways to soft reset/restart your device. Here we recommend Any iOS System Repair (ReiBoot), which is the free software to help you reboot iOS device without iTunes, without Home & Power buttons, without data loss and damage. Free download Any iOS System Repair (ReiBoot) on your Windows 8.1/8/7/XP/Vista. Mac users who run Mac OS X 10.9/10.8/10.7/10.6 go to Any iOS System Repair (ReiBoot) for Mac. 1. Connect your device to computer and run Any iOS System Repair (ReiBoot). In the interface, click "Enter Recovery mode" first. 2. Then click "Exit Recovery Mode" and your device will restart. Now you would be clear about the differences between hard reboot and hard reboot on iPhone, iPad, or iPod. If you have any question, don't hesitate to leave a comment below. Share this content with your friends if you find it helpful.